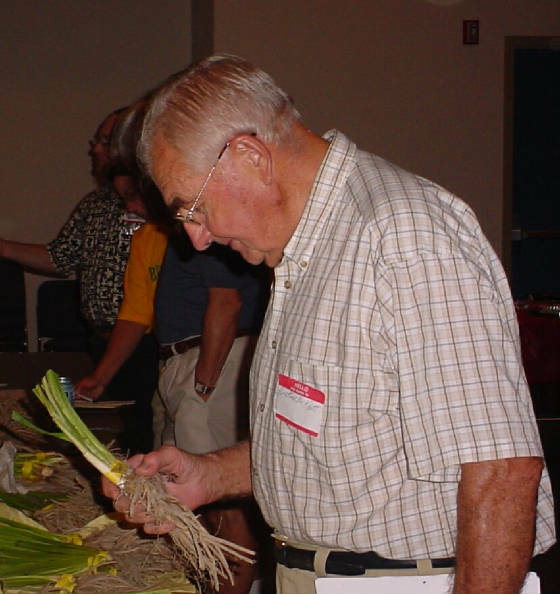 BASKERVILLE KNOTT HAS BEEN A MEMBER OF RADS FOR OVER 30 YEARS AND HAS BEEN AWARDED A LIFE MEMBERSHIP. 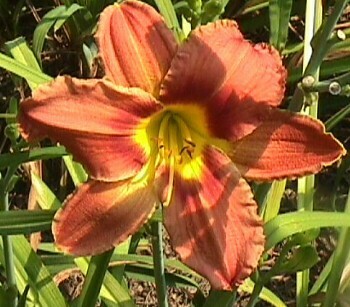 HE HAS THE REPUTATION OF BEING ONE OF THE BEST DAYLILY GROWERS IN THE WORLD. HIS SECRET BLEND OF CHICKEN MANURE AND MANY SECRET INGREDIENTS (11 HERBS AND SPICES?) CAN PRODUCE PLANTS WITH BUDS AND BRANCHING THAT YOU NORMALLY WOULD ONLY SEE IN FLORIDA. 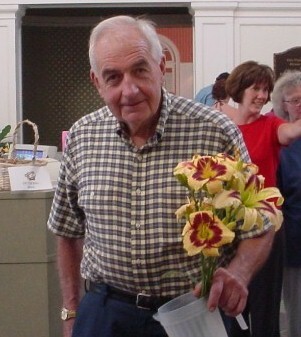 HE IS NOW IN CHARGE OF GROWING THE DAYLILIES AT BOULEVARD FLOWERS. 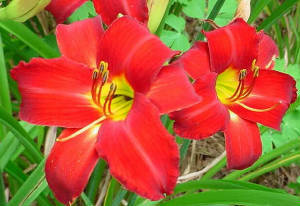 height 30″, bloom 7.5″, season M, Dormant, Tetraploid, Fragrant, Gold red blend with a deep yellow throat. 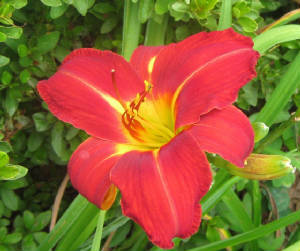 height 32″, bloom 6″, season ML, Dormant, Diploid, Fragrant, Maroon brown blend with a gold to green throat. Virginia House Firecracker (KNOTT, 1997)height 28″, bloom 5.5″, season M, Dormant, Tetraploid, Red self with gold throat. 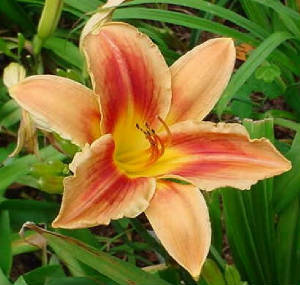 height 30″, bloom 5″, season E, Rebloom, Dormant, Diploid, Fragrant, Lemon yellow self with a green throat.